I Fall to My Knees is an inspiring collection of devotional prayers and Bible promises that will guide you from the apostle Paul's opening line in Ephesians 6 "I fall to my knees and pray" to "Praise for yesterday, today, and tomorrow." 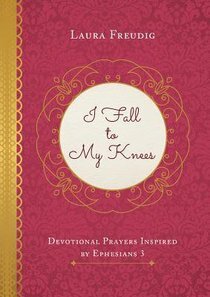 Perfect for personal use or any gift-giving occasion, I Fall to My knees is a wonderful new take on a beloved Bible prayer. About "I Fall to My Knees: Devotional Prayers Inspired By Ephesians 3"